A mysterious illness has hit earth and wiped out most of humanity. The few remaining survivors start seeing dark shapes that carry away the bodies of the dead to experiment on them and bring the results of their experiments back to life – yet another thing the survivors have to fight. Two of those survivors are Lance (Carey MacLaren) and Rachel (Laurel Kemper) who stumble over each other in the woods and together figure out a plan how they might fight back. The Sky Has Fallen was obviously made out of love for practical special effects and it is quite ingenious with them. Unfortunately the rest of the film hasn’t got quite the same amount of attention as the SFX – and it shows. I love practical effects, though I’m not much of a connoisseur. Nevertheless what we get in The Sky Has Fallen looks great – especially the experiment!zombie make-up and particularly considering that the film is basically home-made and has no budget. I’m always amazed by the creativity and ingenuity that goes into effects like that, so it’s not surprising that that made a lot of the film’s draw. The rest of the film could have done with an equal amount of attention to detail and painstacking creation as was given to the special effects. Unfortunately that doesn’t seem to be the case. All those effects – and the general coolness of the created monsters and Roos’ fresh spin on the zombie genre – are stuck in a really bad script. The entire script is packed to the brim with clichés. Every line of dialogue, every character trait and the entire plot are so much of what we’ve seen before that I called the ending about 20 minutes in or so (the line “You’ll learn” totally gives it away). It’s hard to act with a script like that, but both MacLaren and Kemper give such wooden performances that a lot of their exchanges start to feel like non-sequiturs as the replies they give would have only made sense with some kind of emotional expression accompanying – which was sadly lacking. Having shot a film (or rather a webseries) on no budget or experience myself, I know how hard it is to watch everything at once: where is the camera, how is the acting, are the lines working, should we already be on to the next scene, is the light okay, how is the sound etc etc etc. So I sympathize with the film’s shortcomings, but it doesn’t make them any longer, I’m afraid. Roos settled on focusing on special effects and camera work, forgetting dialogues, acting and (maybe the worst offender) sound design for it. If your focus when watching a film is likewise, then you’ll have fun. Otherwise you, like me, will probably be more hesitant with your enjoyment of the film. Summarizing: Cool SFX, but too weak a script. 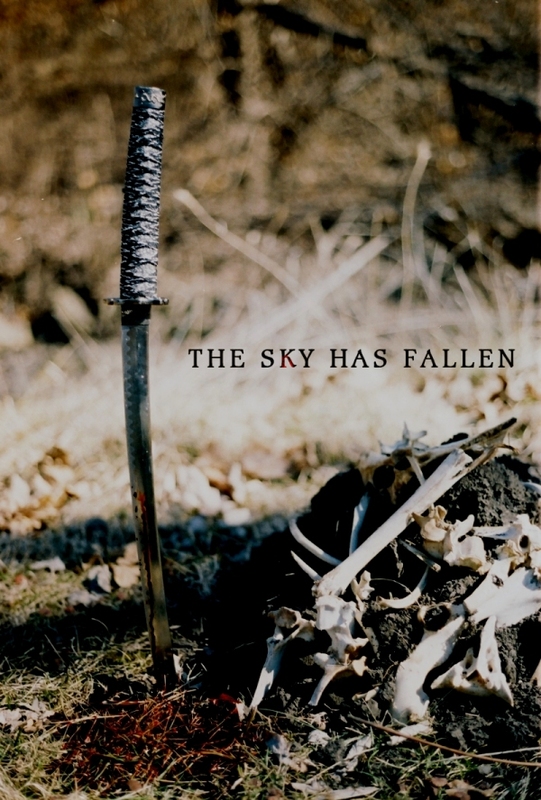 This entry was posted in movies and tagged 2009, Carey MacLaren, Doug Roos, Laurel Kemper, The Sky Has Fallen by kalafudra. Bookmark the permalink.